We imagine Retro Studios is one company that needs absolutely no introduction on these pages, but we're about to provide one anyway as the developer is today celebrating 20 years in the world of gaming. Yes, back in 1998, Retro Studios was born as a game development studio with Nintendo acting as a parent company. Its initial aim was to create games which would appeal to an older demographic for the GameCube (which, at the time, was still a few years away from release). Eventually, all efforts were focused on a new project called Metroid Prime - a new entry to the series which would use 3D graphics for the first time. The rest, as they say, is history. After the success of Metroid Prime - which went on to sell 250,000 copies in its opening week - Retro moved onto the sequels Metroid Prime 2: Echoes and Metroid Prime 3: Corruption, released for the GameCube and Wii respectively. 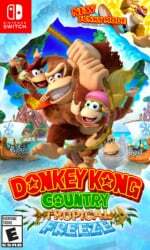 From there, we've now also seen Donkey Kong Country Returns on Wii (after Retro was specifically recommended for the project by Nintendo producer Kensuke Tanabe), Mario Kart 7, and Donkey Kong Country: Tropical Freeze for Wii U (which has recently been ported to Nintendo Switch). Since Tropical Freeze's launch, Retro's actions have been largely shrouded in mystery. Metroid Prime 4 has been announced, but we know that Retro isn't involved, and rumours began to circulate earlier this year suggesting that a new title called Star Fox: Grand Prix was on the way - a racing game which supposedly combines elements of Diddy Kong Racing and F-Zero. In reality, of course, we just don't know what's going on behind the scenes. What we do know is that we can't wait to find out. They should remaster the Metroid Prime trilogy on Switch to celebrate. Take a stab at a 3D Donkey Kong game. We all know what dk64 did wrong. Just take what it did right and expand upon it. Meh, make what ever game you want. I will throw money at you regardless. Thats nice. They're one of my favotite studios, I've never been disappointed by any of their titles. I can't believe we STILL don't know what they're working on though.. I just hope their next project won't be called "untitled Retro Studios game" long enough to become the Switch equivalent to Kingdom Hearts III. Just sayin'. Other than that, go Retro! ... which is not an invitation to "go retro". HB!!... love this studio for what they did with Prime. Wish Nintendo would let them do something more epic like Metroid Prime. Making silly side scrolling and Kart games are a waste. Them posting this tweet to show that they're still active can at least put people at ease that the whole 'Retro Studio's potentially shutting down' rumour was just a farce to create drama. However, I'm not trying to sound entitled but I desperately want them to fill us in if they're actually working on something at all. It doesn't even have to be in the form of a big trailer, just a teaser like MP4 and AC Switch is honestly enough to satisfy me at this point. It's been nearly 5 years since their last game came out and we still know 0% on their newest project, the wait is honestly becoming less suspenseful and more annoying at this point. I understand that games take a long to make and them taking this long before they can even tease it at least shows that they're making sure the game is as best as it can be but it's becoming understandable why some people think that they're in the risk of being shutting down or they're not creating games anymore. Just a shame they can't pump out games like Rare did back in the day. 20 years and only 5 developed and one co-developed games to show for it is pretty poor for a company held in such high esteem. @Agramonte If you're referring to the modern DK Country games when you mentioned ""silly side scrolling games are a waste"" then I'm convinced you've never actually played either Returns or Tropical Freeze. Yes they're no where near as ambitious or revolutionary as the Prime games but writing them off as just some standard platforming games is a massive disservice to them since, imo and a lot of other people, they're up there with the modern 2D Rayman game as some of the best platformers of all time. If their not your cup of tea then that's fine but please don't try to downplay genuinely excellent games just because their not want you want from the company. @Tarolusa agreed. Dktf is a masterpiece! I hope they are on a 3D platformer - that's all. We need more masters at that game. A 3D Donkey Kong Country with the same emphasis on precision platforming as Returns and TF (which SMO did not emphasis) is my wish. As good as SMO was in it's own aspects - it simply didn't do enough precise 3D platforming. Please Retro - just do what the last 2 DKC games did but save us from another one confined to 2D or 2.5D. Just out of interest - do you folks think we'll actually see a Metroid Prime Trilogy in HD appear on Switch? Or is it just a fantasy many of us are having? Would love to see a final DKC Returns game with the Kremlins back, to complete the DKC Returns trilogy! What's more likely, they're all still showing up to 'work' and noticed the calendar, or someone hacked their twitter account to troll folks? It's been years since Prime 3. They're definitely going to want to let more people get into the series, as well as revitalize it a bit, before Prime 4 launches. Way to earn the name. @OorWullie Though I also wish they'd work faster, I think that their apparent dedication to quality over quantity is admirable. Although Rare was far more prolific, not every game they made was a masterpiece either. @Tarolusa the internet makes up stories to create drama? Who would've guessed?! Now you're going to tell me that my parents lied to me about our dogs moving to a farm when I was a kid! Also, I agree with you that Retro's DK games are excellent. I hate to say it, but Retro is dead man! Simply because Nintendo doesn´t care about them. It would be fun if they could breath life into another dorment or long astray franchise. Kid Icarus, Punch-Out! !, Earthbound, StarTropics, Excitebike, Ice Climbers, Duck Hunt, F-Zero, Pilotwings, Star Fox. The best would be if they could just make the next 2D Super Mario Bros. game. 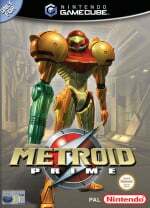 @brunojenso Considering the amount of ports from last gen and even two gens ago that arrived on Switch, I'd say likely that they'd re-re-release a Prime Trilogy set, not only to get new people apprised of the series and remind them of Prime's history, but to also bring the series into HD! .... Just realized how beautiful Phendrana Drifts, Tallon Overworld or Torvus Bog might look in HD. I love all of Retro's games. Let's hope another masterpiece is around the corner. @19Robb92 Interesting - and I like the certainty Do you think they'll do some refining and fixing a few things too? @Sinton Star Fox is being sort of rebranded into Starlink: Battle For Atlus. You can play as any member of the Star Fox team (if you want) and Star Wolf will play a role as well, but it won't take place in the Lylat system. @Kilroy my money is on a Prime Trilogy HD reveal at the Game Awards along with Prime 4 footage. I can live in hope, right? This! Completely this! Seeing how captain toad turned out they could totally emulate the nunchuck for Metroid prime 3. Long quiet years... hope to see something great. Did they seriously congratulate themselves on Twitter? @JamesR I don't think that such a great major studio should bother to port an old game. Even on Donkey Kong Country Tropical Freeze for Switch, she didn't got envolved. Ports are made from lesser minor studios. I'd give my left nut for a port of the MP trilogy. Please god, take the nut. @Kilroy Starlink: Battle For Atlus is starting to look like a major win for Switch. The overall quality of visuals, the detail of the character models and the gameplay, as well as the size of the open world is starting to look like it could be very special. This may be the Star Fox we all wanted with a bit of BoTW freedom. And guess what - you can completely ignore the toys. My only concern so far is that a lot of the gameplay is a bit helicopter-eske in it's movement and I just hope that even though it's not on rails, that there is enough high speed shooting while dodging s**t (like asteroids or tight tunnels) sections were you can't just slow down and go arounds things. It's definitely a highly polished, big budget release though. @Kilroy Yeah, it looks promising. Well then, maybe they could celebrate by actually doing some dang work? None of you can prove that statement wrong either. They have been absent most of those 20 years and released 2 franchise games -with sequels reusing assets. yes I know they help out of filler work in the short term, but so far.... and for now? Seems like a waste, doesn't it? If I am wrong, let me know what they are doing please. 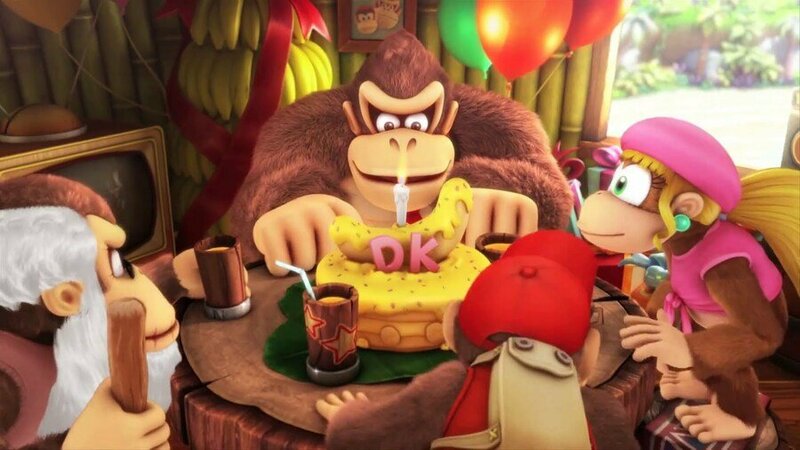 I want a third DKCR with the Kremlings and K. Rool. MP Triology HD on Switch would also be great. Star Fox GP sounds cool, but we don’t know it’s even real. @ozwally I'll bet they have...."Since Tropical Freeze's launch, Retro's actions have been largely shrouded in mystery. Metroid Prime 4 has been announced, but we know that Retro isn't involved"
Happy Birthday to Retro Studios, cannot wait to see what the future has in store for them!! @Tarolusa I like bumper cars... But that is not what I want to see Lewis Hamilton driving. Ambitious & revolutionary - is what they are capable of... let them do it. @AquaVibe They could do anything they want. Sadly it seems like lately they don't wont' to do nothing. This is how I imagine them celebrating today. What they did best was Metroid Prime games so it's a pity that they are not making 4. Very talented people there. I wish Nintendo gave them more work. Either that or they are working on a super duper secret project. Who knows. Now that they have released DKCTF deluxe, I'm hoping by 2023 they will release an upgraded version of the 3ds version of DKCR for the successor to the 3ds. That’s a great record. Only 6 games in its 20 years history, and all of them excellent. Well, except for MP3 which I felt took everything Metroid and turned it generic, but it was technically excellent nonetheless. You don’t see many studios these days having the luxury of only releasing 6 decent games during that period, they’re normally run into the ground by the publisher the moment they generate a hit and then disappear from existence a decade or so later. I’m glad Nintendo seem better than that. Happy birthday Retro! Thanks for practically defining my childhood of treasured video game experiences. The Prime Trilogy is unlike anything I've ever experienced. The level of dedication on the developers' part to ensure that the trilogy as a whole is immersive and engaging. Donkey Kong Country Returns too. My gratitude is as near as infinity as my feeble, brittle (screw you high school) brain can process for Retro actually willing to make a challenging and unforgiving, but ridiculously fun platforming challenge. Have yet to get my hands on Tropical Freeze. One of these days... Anyway, Retro is responsible for shaping some of my most memorable gaming experiences and I owe them my endless thanks. 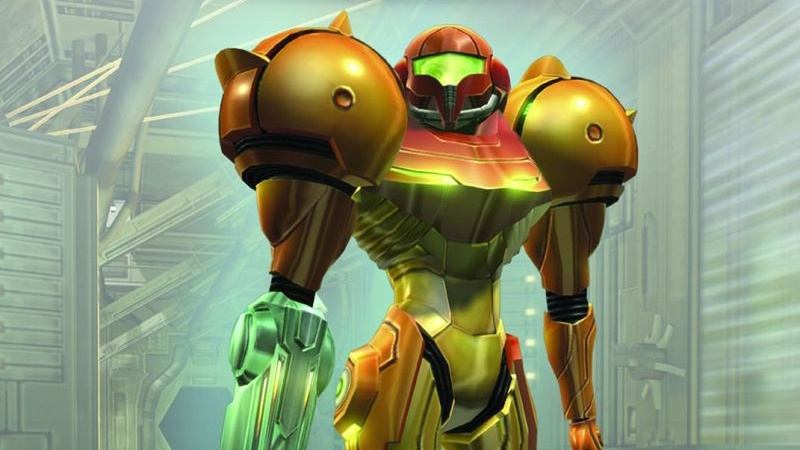 Also, congrats to Retro Studios for Dark Samus' inclusion in Smash! How can they celebrate 20 years when they've spent the last 5 years doing nothing? Retro is one of my favorite game Dev companies. I played through the entirety of their amazing Metroid Prime Trilogy for the first time last year and learned firsthand what all the fuss was about. Both of their Donkey Kong Country games are pretty awesome, too. I expect to see more great things from this talented studio. Surely this was never the plan, 5 years without a release. I'm sure Retro are working very hard but something must have gone wrong in development somewhere. Maybe Nintendo didn't like the direction they took a game, I don't know but if that is the case why can't they be open about it. We tried this, I didn't work so now we're working on something else. 5 years of silence is a long time! Yeah, now have them finish Pikimin 4. Eww no. Their DKC games just aren't that good. How about they branch out and make their own ips instead? how come 'Other M' is never mentioned ever, and those very few who do say it, do it in hushed whispers ??? it was a fantastic game and had the best of both worlds, plus just everything, yet no promise of ports or nothing, what's up with that stuff ??? @jhewitt3476 well in this case, it's completely off topic. Retro didnt do that one. To answer your question tho, look back at its reception after release. A lot of folks hated it for various reasons. Personally, I'm not a huge fan of the characterization of Samus, but I think a lot of its hate is undeserved. It's a solid and decent game at the end of the day. Just very different from everything before it. And the last 25% of it has been on a title we know virtually nothing about. Unless it's actually Starfox Racing. @Tempestryke I too prefer the original DKC trilogy, Rare did much better. What Retro did very well was the Metroid Prime games but they haven't done anything else, their work on Mario Kart 7 was rather small. @jhewitt3476 Other M was extremely disappointing in my opinion and that mix of 3D and 2D didn't work very well. The story doesn't suit Samus either. Other M was very bad. @jhewitt3476 Because Team Ninja did it. Is that it. One little tweet. You party animals Retro. @JoeDiddley I wish it Metroid Prime 4. I have no idea why Nintendo would not let Retro continue making the series that they so well deserve to keep making. It is mind boggling to me. Also, Where is F-Zero Nintendo! Metroid prime trilogy HD please! @Tempestryke @jhewitt3476 Yeah, I am replaying the Metroid Prime Trilogy and they are still really good games. 2 is a bit confusing when trying to get 100% though. They just need a resolution upgrade and perhaps some clearer textures. Other M has much more ambitious cut-scenes but unfortunately they don't respect the other games, the controls are not intuitive having to change the way you hold the controller every time you want to aim and the in-game visuals are worse than Metroid Prime. I really enjoyed, maybe even loved Other M. Tried to get to 100%, and topped out in the high 90's. It was different, but that was the point. @Agramonte The opposite actually, DKCR and DKTF are great and their best games. Metroid 4 as a project itself is delayed, not cancelled. The previous version was scrapped, however there would be a 4. @ozwally "I'd bet they've been working on Metroid Prime 4 since the Switch's conception" Retro wasn't working on this until the change that was just announced. I'm not sure why you even dredged up something from a month ago. Your guess wasn't correct then, it's not correct now. It's cool, I just don't get it.